I can't wait for this to come out in the UK - I've had my eye on it since it was released it the USA last year. After climate change, on the north shore of Unlake Superior, a dystopian world is divided between those who live inside the wall, and those, like sixteen-year-old midwife Gaia Stone, who live outside. It’s Gaia’s job to “advance” a quota of infants from poverty into the walled Enclave, until the night one agonized mother objects, and Gaia’s parents are arrested. Badly scarred since childhood, Gaia is a strong, resourceful loner who begins to question her society. As Gaia’s efforts to save her parents take her within the wall, she herself is arrested and imprisoned. 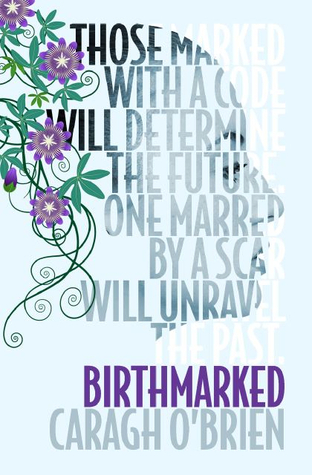 Fraught with difficult moral choices and rich with intricate layers of codes, BIRTHMARKED explores a colorful, cruel, eerily familiar world where one girl can make all the difference, and a real hero makes her own moral code. good pick! I read this one myself when it first came out in the US. I hope you enjoy it once you read it. Woo, more dystopian! I'm going to have to check this one out! Thanks for putting it on my radar! Have yet to read this one, but seen the US cover and thought I would like it since I love dyspoian worlds. Great pick! I've never heard of this book before but it sounds really interesting. Great pick. I'm looking forward to reading this too, sounds amazing! I haven't heard of thos book before, but will definltely have to check it out! I haven't heard of this one before, but now I am definitely going to read it. *marks down on paper* There. It's gonna happen. Thanks for sharing! I have seen this one somewhere and I don't know where! Must look into this one, sounds good. I am dying for this one to be released. Doesn't it sound fab? Wow, this book sounds amazing!! 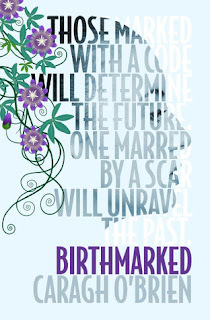 Definitely adding it to my TBR list! Great post, I'm a new follower! I love the cover, it looks really good. I'll have to check it out.